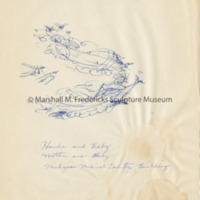 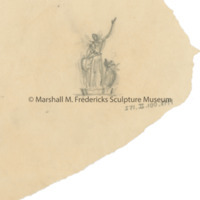 Unidentified sketch possibly for the Michigan Medical Society Building of hands and baby or mother and baby. 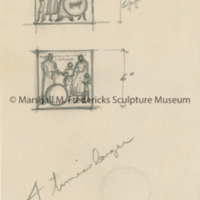 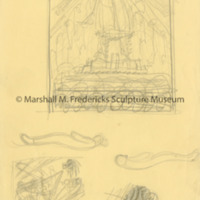 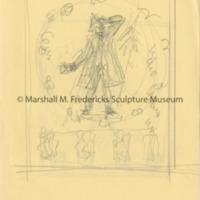 Sketch for clock with figure in colonial dress holding a bell. 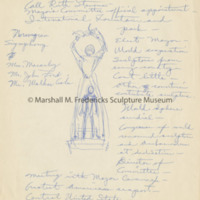 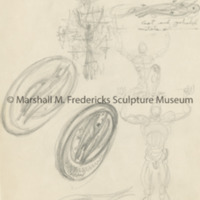 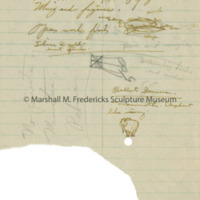 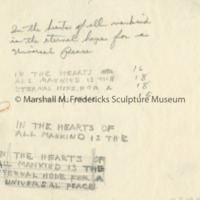 Unidentified sketch of figure grouping. 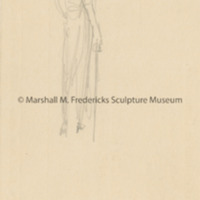 Unidentified sketch of figure with cane or sword.